Crop PDF for Reading on iPad. Fit PDF Page to Android Phones. Remove PDF Margin for Kindle. 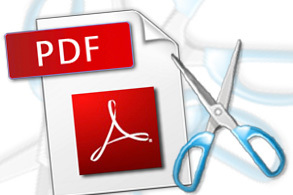 VeryPDF Advanced PDF Page Crop is a convenient tool for users to crop PDF files. With its easy-to-use interface, PDF Page Crop can help users remove the margins of PDF pages and select the page range based on the crop box easily. In another word, PDF Page Crop can be used professionally to make PDF read more conveniently on the small screen devices, e.g., ipad, iphone, or other portable media devices with smaller screens. Windows 2000/XP/2003/Vista/7 of both 32 and 64-bit. PDF files are very big on the dimension, which leads to some inconvenience when they are read on some portable devices with smaller screens. PDF Page Crop can help you crop PDF files and remove the white margins of each page so that it is more convenient to read PDF files on the portable devices with smaller screens. 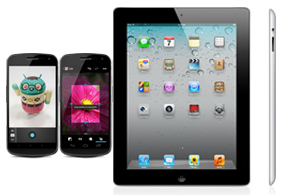 With the help of PDF Page Crop, you can trim the white margins off the PDF files, fitting the PDF pages to your iPad, iPhone or any other Android phones. So you can enjoy reading on your way home, on the travel, or anywhere you are. Support running in all kinds of Windows systems without Adobe Acrobat and Adobe Reader software installation. Support all kinds of PDF files. 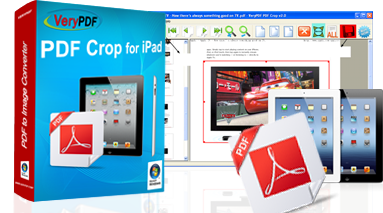 Support cropping PDF for iPad, iPhone, Android, etc. Support the shrink on PDF margin automatically. Support the adjustment on the crop box with different tool buttons. Support the cropped page range, e.g., all pages, the even or the odd. Set the cropped page range.